Bitdefender offers its customers lightning-fast free antivirus. 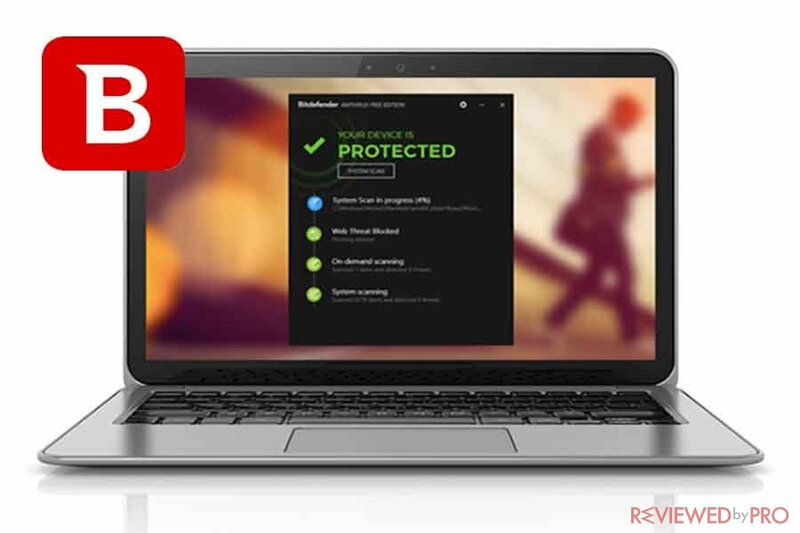 Bitdefender Antivirus Free Edition provides users only with the main protection layers that every computer has to have. Bitdefender Antivirus Free Edition applies behavioral detection that monitors all active applications and programs. If the antivirus detects any suspicious behavior, award-winning technology stops it immediately. Bitdefender scan engines make sure that all the malware, including viruses, worms, Trojans, ransomware, rootkits, and spyware will be detected and removed. Bitdefender Antivirus Free Edition offers consumers reliable and stable protection with minimalistic design. On-demand and on-access scans perform in the background. Essential protection without any unnecessary features. Bitdefender will not slow down your system, will not cause you any lag or time-consuming scans, and will not display any ads. Bitdefender Antivirus Free Edition ensures that your passwords are safe and the browser is clean. The antivirus detects and blocks by default phishing websites that can look legitimate in order to steal your information. Bitdefender Antivirus Free Edition will protect you against web fraud. Its’ advanced filtering systems find any suspicious website behavior and protect your sensitive data or financial information from being stolen. Bitdefender Antivirus Free Edition is compatible with Windows 10, 8.1, 8 or 7 SP1, 1.5 GB RAM and at least 800 MB free hard disc space. 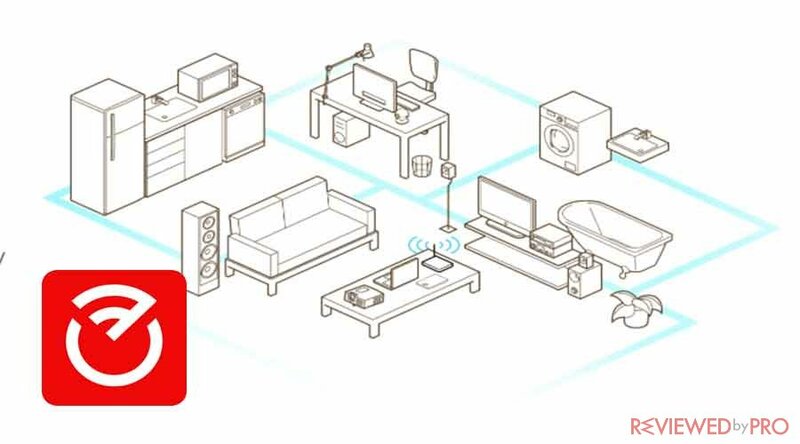 Bitdefender offers users free and fast scanner for the home network. Bitdefender Home Scanner detects vulnerable smart home devices and passwords and also provides consumers with detailed security recommendations to keep the home network safe. 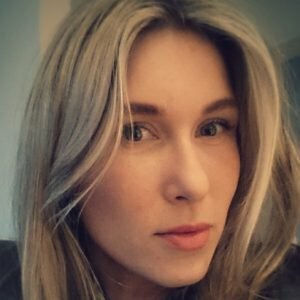 What does Bitdefender Home Scanner offer? Bitdefender Home Scanner prevents hackers and privacy intruders that target home networks and take advantage of security vulnerabilities on users’ smart home network. By exploiting these bugs, attackers are available to spy on your family, steal private and sensitive information, or even hijack smart home devices. Home Scanner enables users to see the list of the devices that are connected to your home network. It also notifies users every time an unknown device connects to the Wi-Fi network. As a result, users become available to boot out freeloaders and prevent connection slowdowns and lags. Bitdefender Home Scanner scans not only your home Wi-Fi network but also maps devices and detects any security flaws and vulnerabilities in the network. It also searches for weak passwords and little encrypted or vulnerable communications. The scanner correlates the data received from all home network devices and online vulnerability databases. As a result, it provides consumers with a thorough report that helps to increase home network security. Bitdefender Home Scanner is compatible with Windows 7 SP 1, 8, 8.1, 10. Bitdefender provides consumers with a completely free Adware Removal Tool for PC. The tool frees up computers from annoying and dangerous adware, malicious hijacker applications, toolbars that were downloaded without user permission and other potentially unwanted programs and browser add-ons. How dies Bitdefender Adware Removal Tool for PC work? 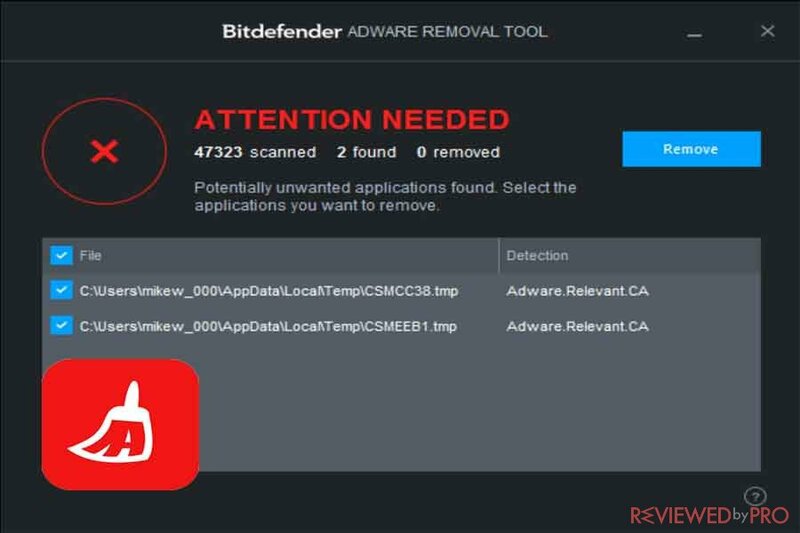 Bitdefender Adware Removal Tool scans your computer for adware and provides a lost of applications that are malicious and should be removed. Users are able to choose what applications and programs they want to remove from the PC. Step 1. Consumers need to download and install Bitdefender Adware Removal tool on their PC. Step 2. Once installed, Bitdefender Adware Removal tool starts to perform the scan for adware. Step 3. Bitdefender Adware Removal Tool provides users with a list of applications market for removal. Users are able to choose and select the applications they want to remove from the PC. Step 4. Bitdefender Adware Removal Tool removes unwanted applications and adware. Bitdefender Adware Removal Tool for PC is completely free and provides advanced adware scanner and removal tool. The tool will eliminate all the clutter and increase your PC’s performance at zero cost. Sometimes it is impossible to localize and identify junk applications that were installed without users’ knowledge. Usually, users pick up junk while surfing and browsing the web. Adware Removal Tool for PC will detect all the adware that have a negative impact on the PC and need to be removed. Annoying adware programs slow down the system and try to trick users into clicking dubious links. Bitdefender Adware Removal Tool for PC detects and stops the source of malicious and annoying adware, protects users from picking up them from the Internet, and allows users to enjoy the browsing experience without any interruptions. Ransomware is a range of malicious programs that are created to block access to the computer or files until the victim pays a ransom demand to the attacker. Ransomware can be very dangerous and cause a lot of damage because even if the ransom is paid there is no guarantee that the victim will give the same files back and if they will be undamaged, as before the ransomware attack. In order to prevent ransomware attacks, Bitdefender developed free Anti-Ransomware Tool that protects users against ransomware attacks. 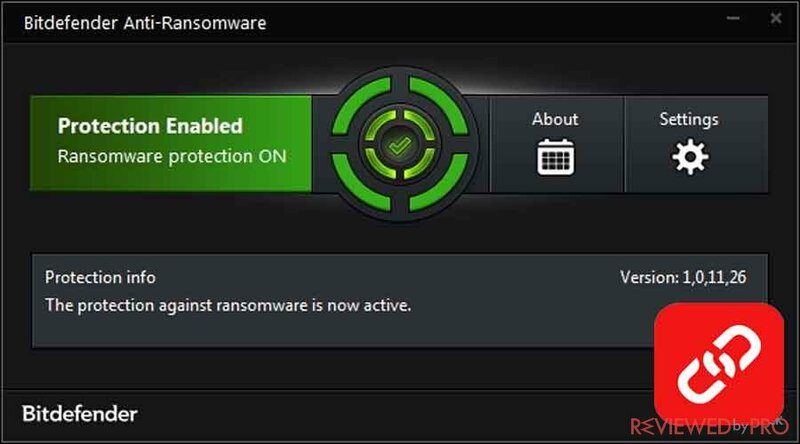 What does Bitdefender Anti-Ransomware Tool offer? The tool is completely free for download and use. Bitdefender provides users with next-gen ransomware protection that protects against CTB-Locker, Locky, Petya and TeslaCrypt ransomware families. Bitdefender Anti-Ransomware Tool protects files and programs from encryption. Bitdefender Anti-Ransomware tool is non-intrusive and simple to use. How to stay safe from ransomware attacks? Users are advised to make regular backups of their most important files and data. Prevention should be in the first place. Users are advised to be vigilant and not to open suspicious e-mails or attachments from unknown senders or click potentially malicious URLs. The operating system and software should be always up to date. Bitdefender Anti-Ransomware is a necessary security layer that protects users from ransomware attacks. ^ Bitdefender Antivirus Free Edition. Bitdefender. ^ Bitdefender Home Scanner. Bitdefender. ^ Bitdefender Adware Removal Tool. Bitdefender. ^ Bitdefender Anti-ransomware Tool. Bitdefender. This entry was posted on 2018-01-26 at 08:31 and is filed under News.